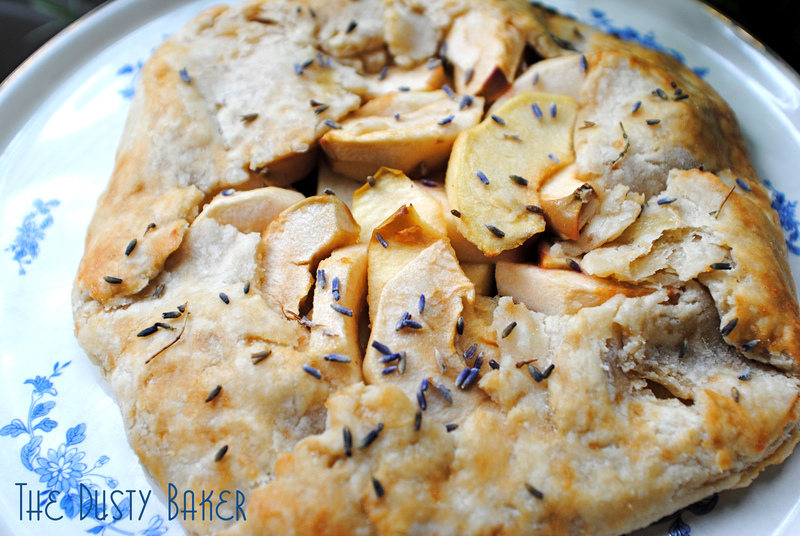 This is an awesome pastry, love the herbs you put in here. Galettes are a bit easier to make than pies and for some reason I like them better than pies-perhaps it is the rustic look of them. Great post. It’s got to be good if it has a stick of butter and apples in the recipe!!! These recipe looks fantastic and the pictures – gorgeous! I want some NOW! I love apples and I love pastry! 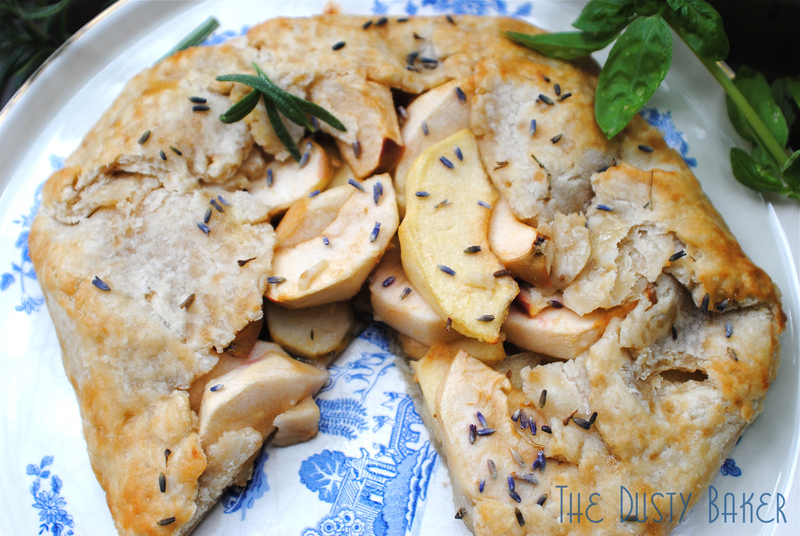 This is such a nice twist on an old favourite and it looks like it would be delicious! 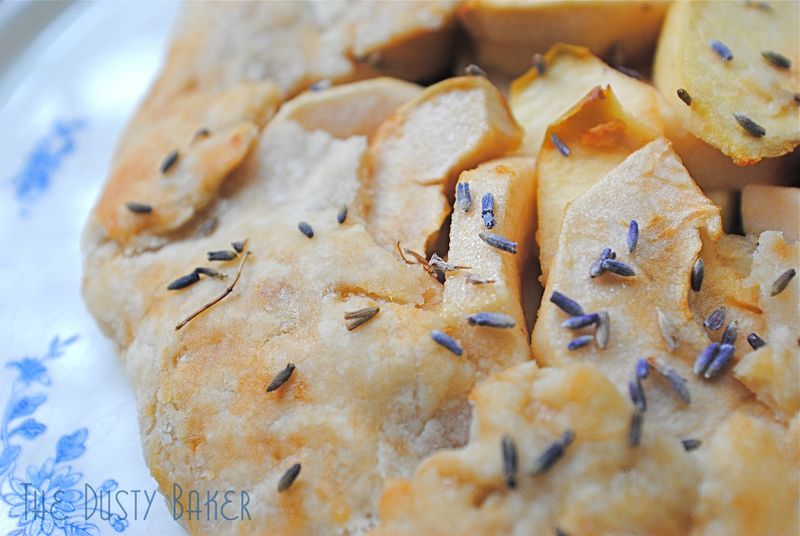 Love the idea of adding the rosemary and lavendar – sounds like a fabulous flavor combination! I love how the lavender has been drizzled on top! this looks BEAutiful! i would love to try making this one day. welcome to our #applelove bloghop!